After dragging myself out of bed at the ridiculous hour of 6am, I seriously have to wake myself up in the mornings! 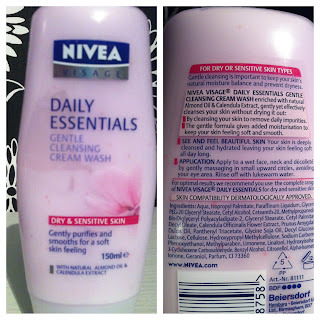 After washing my face with warm water, I use the Gentle Cleansing Cream Wash from the Nivea Daily Essentials range. 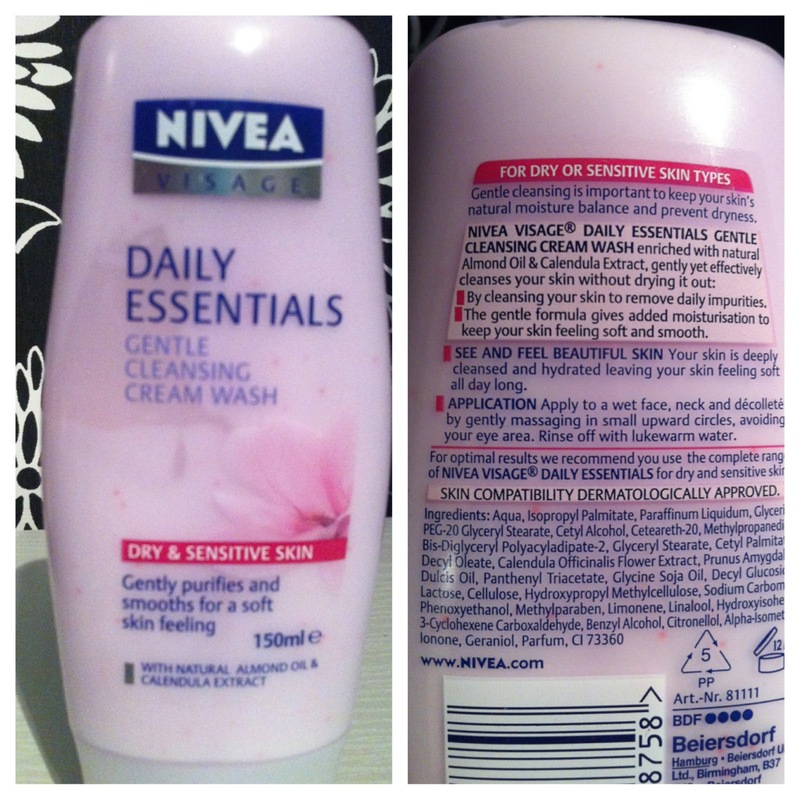 Formulated for dry skin, this wash is amazing for me because it doesn't foam up, meaning it doesn't leave my face feeling dry and tight. I hate that! 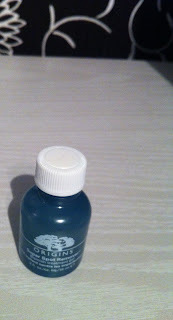 Then I splash my face with very cold water, which doesn't only wake me up, but it tightens my pores at the same time. Two birds one stone eh. Then I slap on a bit of the Rich Moisturising Day Cream, from the same range, which also doubles up as a base for my makeup. That's me done. As soon as I get home from college or wherever I've been that day, I just use any old face wipes to scrub off as much makeup as I can, before I use the Nivea Daily Essentials 'Double Effect Eye Make-up Remover'. 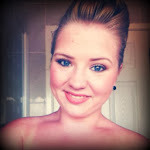 I squirt a little bit onto some cotton pads and let it soak into my eye makeup for a bit, then I just swipe it all off. 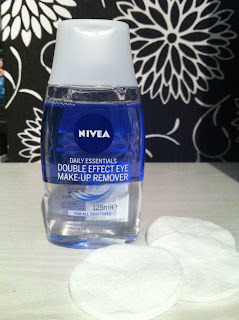 This stuff can take off any eye makeup - praise the lord! 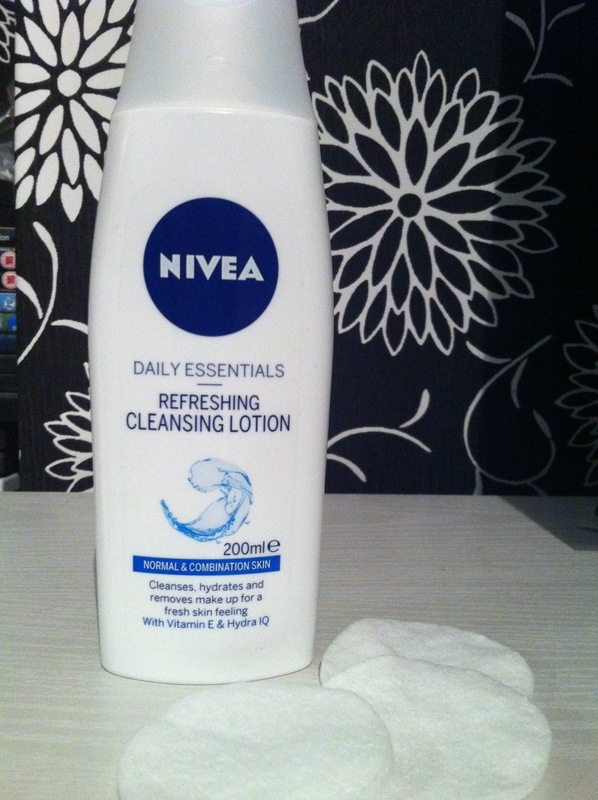 Then with some fresh cotton pads, I use the Daily Essentials 'Refreshing Cleansing Lotion' all over my face to just get rid of any more crap lurking around the place, before I rinse my face with warm water. If I've got a pesky spot or two.. or three.. planting itself on my face, I dab a little blob of the Origins Super Spot Remover Gel on it, and by morning it is massively reduced in colour and size! This stuff is good. Slather on a load of Nivea Regenerating Night Cream and brush my teeth and that's me done, ready to hit the hay! 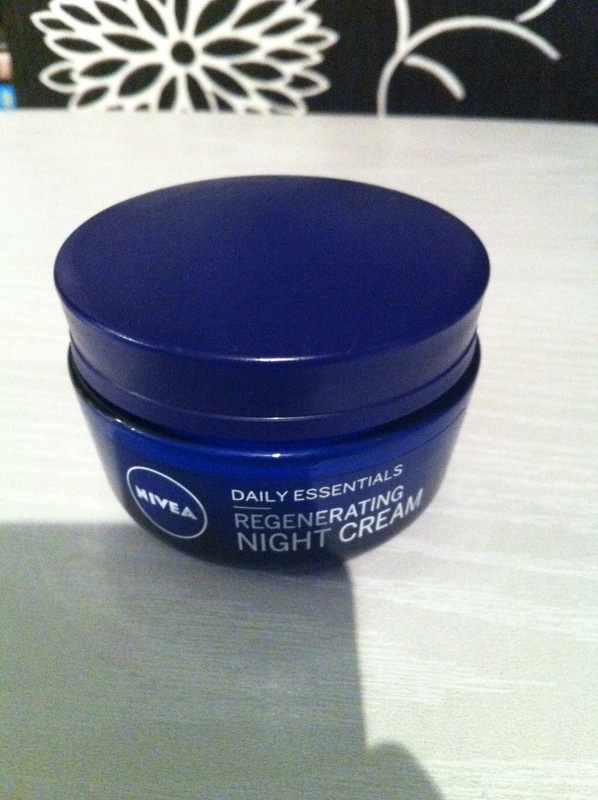 I know all of these products are Nivea, but it's because it's so damn cheap! 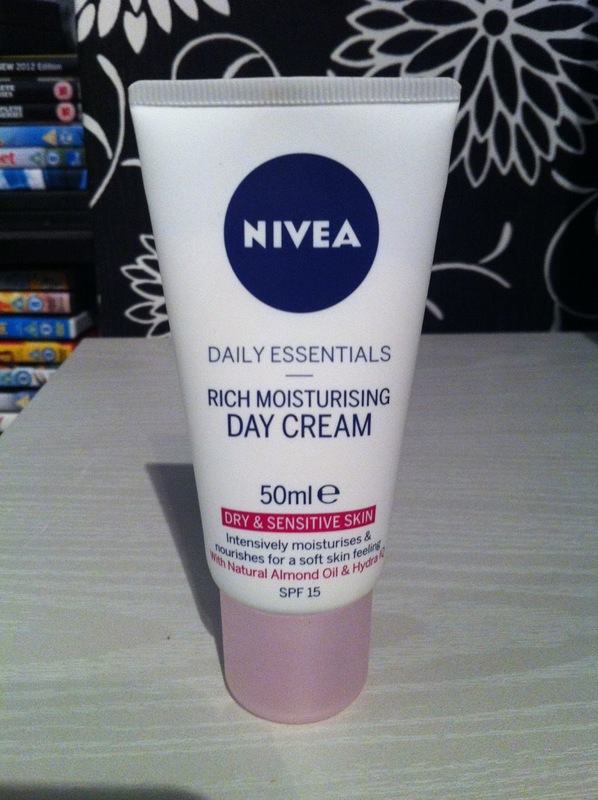 It's also really good for sensitive skin too. Bonus. 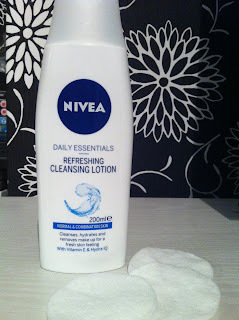 Oooh, Must try that Nivea Gentle Cleansing wash, do they have one for Oily/Combination skin too?